A tree grows up into the light, oxygen-laden air from out of the dark, decaying remains of its parent. Forest fires are part of the cycle of a healthy forest. Ever noticed that serving someone makes your heart more glad than being served. In my own experience, dying to myself brings new vigour and life to my soul. They say that absence makes the heart grow fonder. I’ve also heard that people who have a near-death experience are filled with inexplicable thirst for life and growth and change ever-afterward.The death of a relationship can signal, for both people, the beginning of more genuine life than either has ever experienced before. The death of innocence can be the resuscitation of a truly child-like heart. Oddly, embracing the death in yourself and making mud to smear on its eyes can signal the birth of vision and the beginning of authenticity. It would seem that the dark, wormy soil in which we think to bury our dead is the self-same ground which produces sunflowers bigger than my head and pumpkins larger than I can hold, trees we can’t see the tops of and countless colorful foods full of nutrients to nourish growing bodies. 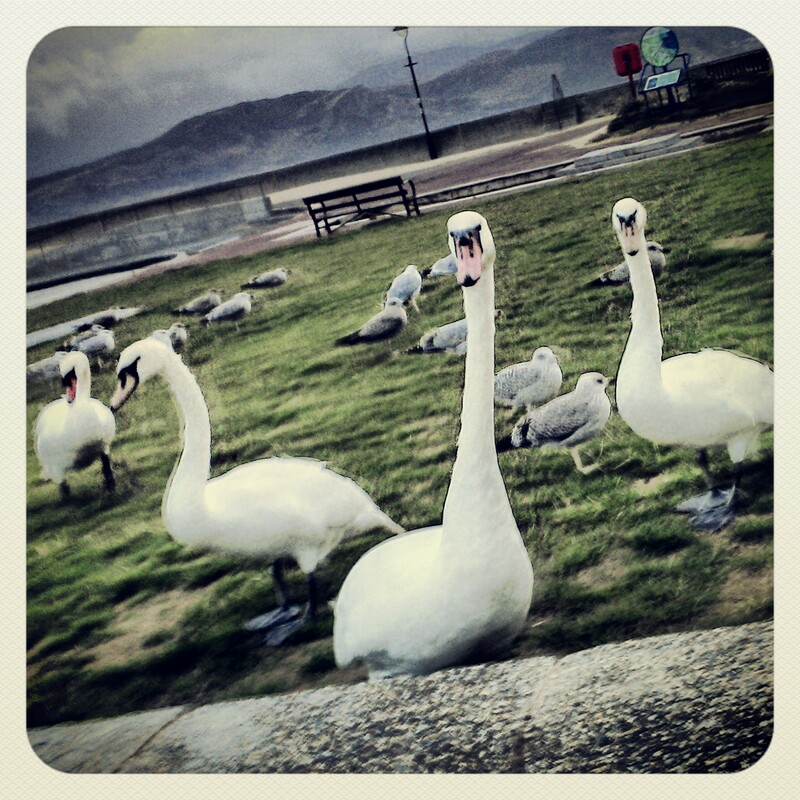 There’s no denying the tightly interwoven nature of ‘good’ and ‘bad’ in reality. Not even just interwoven, but overlapping and constantly transformed. Teleologically, the yin and yang are not linear, but Whole, like the holy will of God. In the end, Life comes from out of Death, connection from out of solitude, and love from our recognition of sin, because Death, solitude, and sin cause us to recognize our lack of control and reach out for our Source in the unknown: to grasp Beginner’s Mind. I am bird-boned; body twisted with suffering, hanging from a perch from which I cannot descend. I suffer. Somehow I cannot help but allow death to do its work in me. I have wondered, often, about the river of life. Are its waters the unfettered flow of blood and tears within its banks? 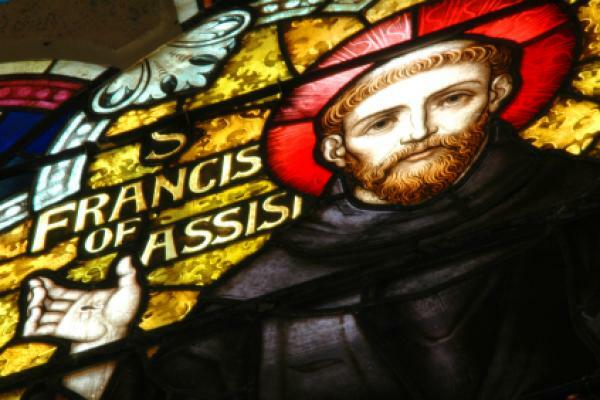 A Legend & A Life Story: Who was Saint Francis of Assisi? 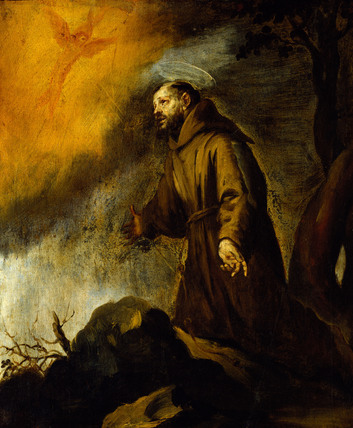 St. Francis of Assisi’s spiritual life was unfathomable even to those around him while he lived, but they attempted to write about him nonetheless. Many contradictions exist in the literature about him, in the things he is said to have accomplished and events that purportedly occurred throughout his life. Countless historians, wanting to understand him within the context of their own views and beliefs, have made him an object of study. However it has proven to be a most arduous task, considering the many differing religious agendas behind all the written works of that time. Just as there are today, forces were at work beneath and beyond any kind of kinship or loyalty to the truth. It turns out that a surprising amount of sifting must be done in order to get any kind of a clear picture of who Saint Francis really was. The man has become a legend. He is almost a myth to the average person now, considering the fact that many associate his name not so much with the man he was as with the stories they’ve heard about him. It can be startling to remember that he was a real person with a concrete history– and an even more concrete spiritual life. This paper will analyze and compare two texts written by a select few men who accompanied St. Francis on some portion of his journey through life– The Life of Saint Francis by Thomas of Celano and The Legend of Three Companions. These particular two texts are both well tailored to this project and seem to be most reliable, as the authors lived with the saint and were close to him. First the paper will analyze where each text came from and the reasons it was written. Then, while striving to look deeply into who this saint really, truly was, comparisons and contrasts will be made between the contents of the two at several crucial points (his youth, conversion, and the tone of his spiritual life). Finally, among the conclusions drawn from the information found in our two texts, the question will be addressed again of whether we can know who Saint Francis was or whether we must take the ‘packaged’ version of his spiritual vitality and wisdom. It is more than possible that Pope Gregory intended to use this ‘literary monument’ simply in order to stir up new life in the Church. The papal influence in the writing does not by any means entirely conceal who Francis was however; the document is still centrally about him, about revealing who he was— even if it was arranged by a hand and mind attuned to ecclesiastical necessities. The texts were written for different reasons by different people, at the requests of other people who had their own purposes– even the authors themselves had particular and unique focuses they couldn’t get rid of if they tried. Digging through all of that is hard; it is difficult to know when to trust the sources and when to take what is given with a grain or two of salt. But it is best to remember that (1) these are some of the best resources we have (biased and tweaked as they most probably are) and (2) that this very situation is where comparison and contrast fit best into earnest research, purifying our knowledge of each chosen subject along the way— quite a bit like scientific experiments do. Everyone agrees on certain things about Francis of Assisi. All detail him as a man touched by God, a man with a strong sense of calling and an incredible devotion and love for his Lord (as well as his chosen bride: the shiningly beautiful Lady Poverty). In his youth, before his conversion, he was a cloth merchant, and rather well off from the sound of it. The texts agree that he was not particularly attuned to virtue at that time and that he spent enormous amounts of money on lavish feasting and trifles, although differing greatly in their assessment of the basic inner attributes behind these actions. They explain his conversion with some differences as well, although providing these explanations within roughly the same mold. These two things are basic disagreements between the writings, both specific enough to analyze closely. But throughout the text of each a far more subtle thread is woven, showing us what the saint’s soul was like. In looking at the two accounts, one sees that they agree in many areas about Francis, but Leo, Angelo, and Rufino paint his inner life in more detail and with a more realistic simplicity. The most striking difference between the two texts is the recounting of Saint Francis’ youth. Thomas of Celano was almost unbelievably severe in his account of Francis’s early life, describing how, “maliciously advancing beyond all of his peers in vanities, he proved himself a more excessive inciter of evil and a zealous imitator of foolishness.”7 The very second sentence of this entire work introduces him to the reader, saying that “from the earliest years of his life his parents reared him to arrogance in accordance with the vanity of the age[,] and by long imitating their worthless life and character he himself was made more vain and arrogant.”8 In stark contrast to this, the three companions portray him as “endowed with clever natural abilities…, good natured and generous.”9 The Legend also alludes to his lavishness and his vanity, however it sprinkles praises lavishly even throughout its early description of him. The three companions do not appear to be brandishing the sword of judgement the way Thomas does. There are many instances like this, intimate revelations that are completely internal which Thomas of Celano never addresses. He is more concerned with presenting the external, the visible, with the promotion of the kind of Christianity he lived rather than what went on inside of him to cause him to act or be the way he was. 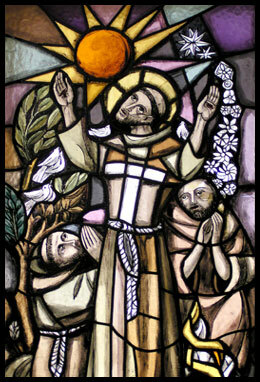 He began overcoming himself and his fears in small ways, showing mercy to lepers and even accepting the kiss of peace from them.12 Saint Francis acted all the way through his learning process, throwing himself into projects without reserve and coming to a fuller understanding through his acts. This understanding triggered a longing within the saint to dedicate himself fully to the Lord and this grew almost impossibly quickly. The companions say that he “endured great suffering and mental anxiety, unable to rest until he accomplished in action what he had conceived in mind… He was burning inwardly with a divine fire, unable to conceal outwardly the flame kindled in his soul.”13 It took years for the Lord’s plans for his eager and youthful son to come to fruition, but Francis had the willing spirit necessary for the process. This is another place which leads the reader of the two texts to believe that perhaps Leo, Angelo and Rufino used Thomas’ work as a guide or a base for their own. “When all those who knew him saw him, they compared his latest circumstances with his former and they began to reproach him harshly. Shouting that he was insane and out of his mind, they threw mud from the street and stones at him… they blamed everything he did on starvation and madness.”20 (See The Founder, bottom of page 78 for a comparison passage). The three companions do not mention it, but according to Thomas of Celano he even chose for himself an adopted father in the streets, where his father passed by often and cried out against his son in bitterness and anger. Francis instructed that whenever this happened, the adopted father should put his right hand over him and bless him as his father cursed him. This shows that some sort of ingenuity is laced throughout the simple character portrayed everywhere else. Although it makes sense to expect some such creativity from an accomplished businessman, the rest of the texts center on his simple approach to life. To see him so intelligent and responsive in the Spirit so early on is interesting, if nothing else. He was truly, according to both texts, a changed man. The tone of the two texts is very different as well. Thomas of Celano writes as if he were expressing divine approval; his style is beautiful and enjoyable to read, but written from above with the distinct feel of an Imperial address. It is formal, and intended to inspire awe. The three companions, on the other hand, wrote in a far more familiar way, easily relating to the reader on the same level. This was because it was written in order that it be available to the monks within the Franciscan Order. It was written like a letter from brother to brother. and my flesh in so many ways! What a willing spirit! What beautiful, child-like devotion, patience and strength! The companions say that even in his last months of sickness he was as saintly as ever, “for he loved God with such enthusiasm from the depths of his heart that, on hearing His name, completely melting within, he would burst forth saying that heaven and earth must bow at the Lord’s name.”33 Both texts give him a worthy death; he was brave and strong of will, persevering and continually placed himself in the capable and merciful hands of God until the very end. 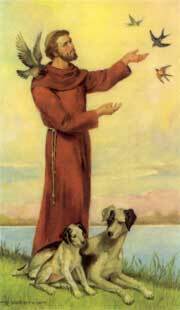 Remembering that Saint Francis of Assisi was a real man who born and lived a real life in the flesh can be hard. It might be difficult to fathom how he could have had the real loves, hates, trials, obsessions, and relationship problems that come with such a life. But it’s true. He lived here on this very earth. Saints were and are real people who have made their spiritual lives as tangible to themselves and others as their material life is— and Saint Francis’ spiritual life was so concrete and alive that he became known worldwide and his memory was preserved for centuries to come. So many people have attempted to untangle the mass of literature about Saint Francis, braving the mountainous religious agendas and the hundreds of years of history leading up to his life and trying to pick out the subtle threads belonging to the truth of who he was. And yet the question remains: is it possible? In light of the fact that the authors each knew Francis, what are we to think when the stories they hand us do not match up? 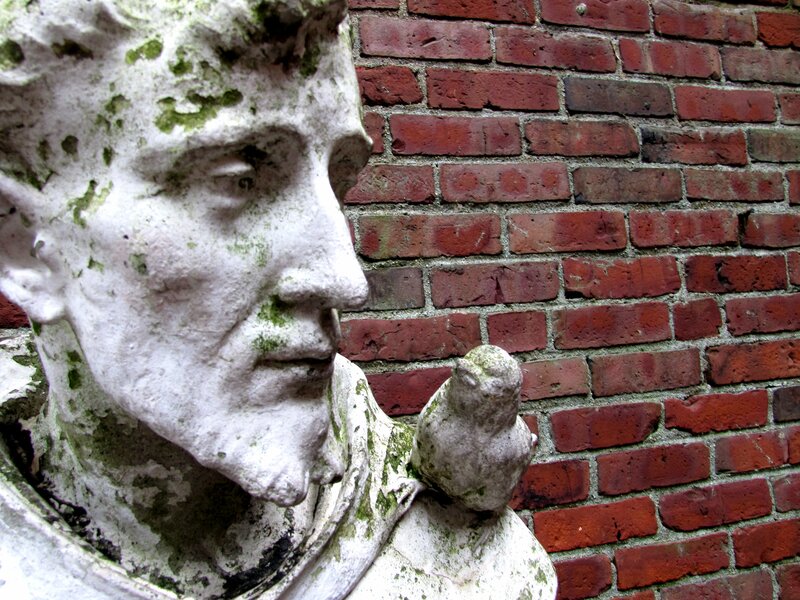 Was his character as a youth as flawed as Thomas of Celano would have us believe? Or was that simply for the sake of magnifying his later piety? Perhaps there was no other stance Thomas could have taken toward the young merchant-Francis, given that he was writing for the pope. How much speculation was involved in the three companions’ account of Francis’ internal life and the things which happened before they met him? They wrote for Francis and the resurrected Lord Jesus; they didn’t have designs on affecting the bride of Christ, His body on earth, the way the pope had reason to. How much of a bent towards their respective purposes in the world did these man allow into the facts? And why were the conversion stories identical in so many ways? Why are there so many passages that echo each other almost exactly? The texts don’t seem to have disagreements (beside differing insertions and omissions) once they reach the point where Francis committed himself to God and His work. Is this because what we see is fact or because once copied the other? Maybe we’ll never know. But in any case, we receive a very muddled view of the man— even from the most reliable of sources. Can we know him? Is it possible? Maybe not. But these things we do know: these men who knew Saint Francis, contemplated him, and wished to be like him— they were not drawn to him because of the things he did as such. They were not awed or inspired by a light shining down from heaven or by the manner in which he was pursued by the Lord as a youth. No, they saw something emanating from the deepest regions of his heart, made transparent by his mode of living such that the Father’s seat within was visible to all. They were drawn to the One who lived in him. 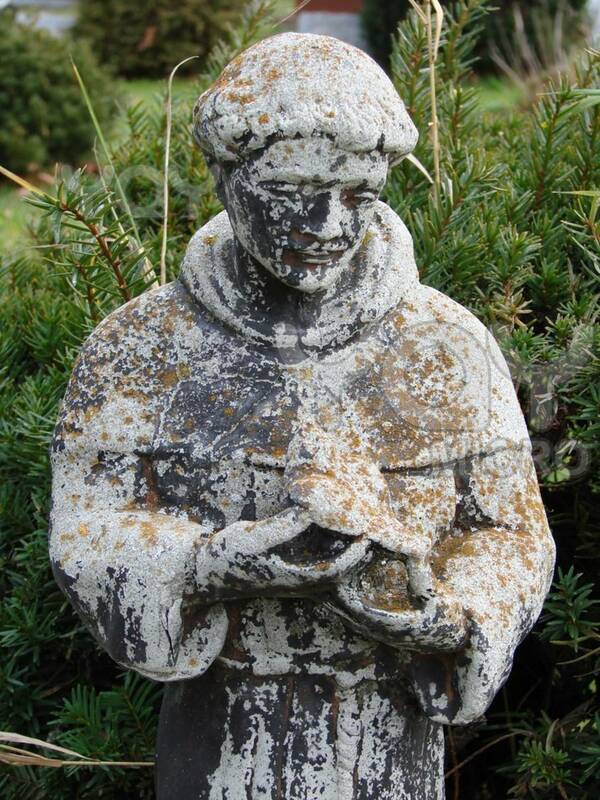 Those who knew Saint Francis saw themselves as richly blessed because they were allowed to see God’s mercy, love, purity, justice and strength made manifest in a meek and malleable life. In a broken vessel. ~Thomas Merton, What is Contemplation?, Templegate Publishers, Springfield, IL. 1950. p.8. 1 Celano wrote about the saint often in later years, however these works were more often than not for the brothers of the Franciscan Order. 2 1 “The Life of Saint Francis by Thomas of Celano.” eds. Regis J. Armstrong, O.F.M. Cap. J.A. Wayne Hellmann, O.F.M. Conv. William J. Short, O.F.M. Volume I of: Francis of Assisi: Early Documents. The Saint. New York: New City Press. 1999. p 172. 3 The Saint, p 175. 4 The Saint, p 175. 5 “The Legend of the Three Companions.” eds. Regis J. Armstrong, O.F.M. Cap. J.A. Wayne Hellmann, O.F.M. Conv. William J. Short, O.F.M. Volume II of: Francis of Assisi: Early Documents. The Founder. New York: New City Press. 2000. p 61-62. 7 The Saint, p 183. 11 The Founder, p 73. 12 The Founder, p 74. 13 The Founder, p 75. 14 The Founder, p 64. 15 The Saint, p 189. 16 The Saint, p 189-190. 17 The Founder, p 78. 19 The Saint, p 191. 21 The Founder, p 79. 22 The Founder, p 79. 23 The Founder, p 80. 24 The Saint, p 219. 25 The Saint, p 228. 26 The Founder, p 76. (Emphasis added). 27 The Founder, p 102. 28 The Saint, p 266. 29 The Founder, p 74. 30 The Founder, p 77. 31 The Saint, p 276-277. 32 The Saint, p 277. 33 The Founder, p 108.